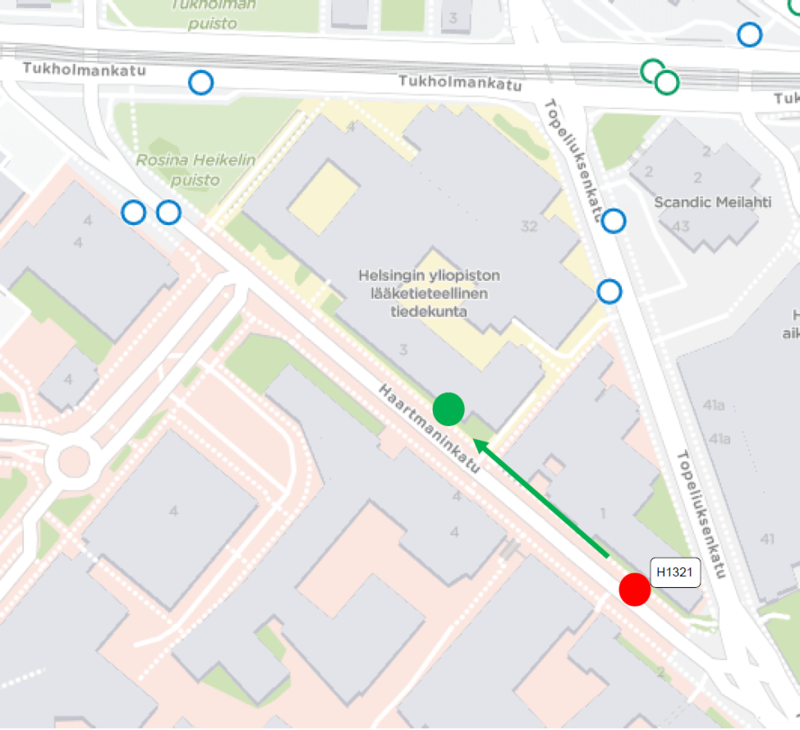 The "Naistenklinikka" bus stop (H1321) on Haartmaninkatu will be temporarily relocated some 100 meters due to construction works. The temporary location is by Haartmaninkatu 3. The relocation affects routes 14, 18/N, 39, 39B, 39N, 502 and 551N.